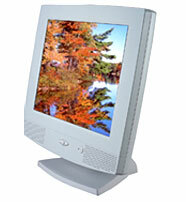 Open Frame TFT Excel Display Provides a wide selection of Open-Frame TFT-LCD monitors. These displays are available with a standard RGB (VGA) input as well as analog RCA (compsite video) or Svideo (SVHS) NTSC/PAL signal input. A stereo audio amplifier can also be added. Many different versions are available with high-brightness, wide viewing angle, touch screen, an various panel sizes.